If you’re moving from NJ to Washington, there are likely some big things going on in your life. It may be work, family, or just the need to try some new surroundings. Whatever your reason for this 2,800-mile move, you’ll want to choose the right mover to make sure everything goes smoothly. Simonik Moving & Storage has been in the moving business since 1977, and we have a lot of satisfied customers to show for it! We take quality very seriously – we don’t settle for 2nd best! 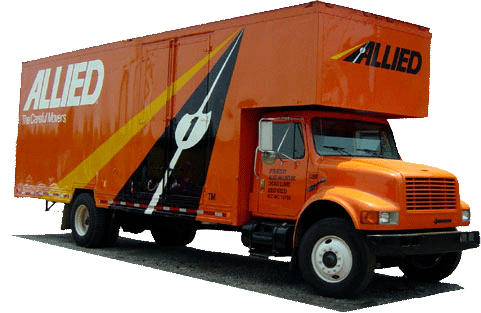 We are proud of our BBB Accreditation, and as an agent of Allied Van Lines, we have access to the top moving professionals and equipment all over the country. We can tackle your household move whether it’s down the street or 3,000 miles away. One thing that we’ve learned over the years is that choosing the right moving company can be the difference between a stress-free move and disaster. Don’t take any chances when moving to Washington from New Jersey. This cross-country relocation requires experience and the best customer service – and we have both. Another benefit to choosing Simonik is that we also provide storage solutions for your New Jersey to Washington move. You may need to store some of your belongings after the move, and our moving containers make that process easy and convenient. Your items will be carefully packed in a container and then stored in our secure facility. When you’re ready, the container or containers will be shipped right to your new address. Hunterdon, Mercer, Middlesex, Monmouth, Morris and Somerset counties are some of the areas we serve in North and Central Jersey. We don’t like to brag (ok, maybe we do), but we were honored to have been selected for the Mover of the Year Award from the New Jersey Warehousemen & Movers Association. We also have ProMover Status with American Moving & Storage Association which means we are always on top of the latest regulations regarding long distance moves such as a move from NJ to Washington. NJ to WA moving is a lot easier when you choose the right partner! Fill out our online contact form today to learn more about all of our moving services and to get your free, no-obligation estimate.